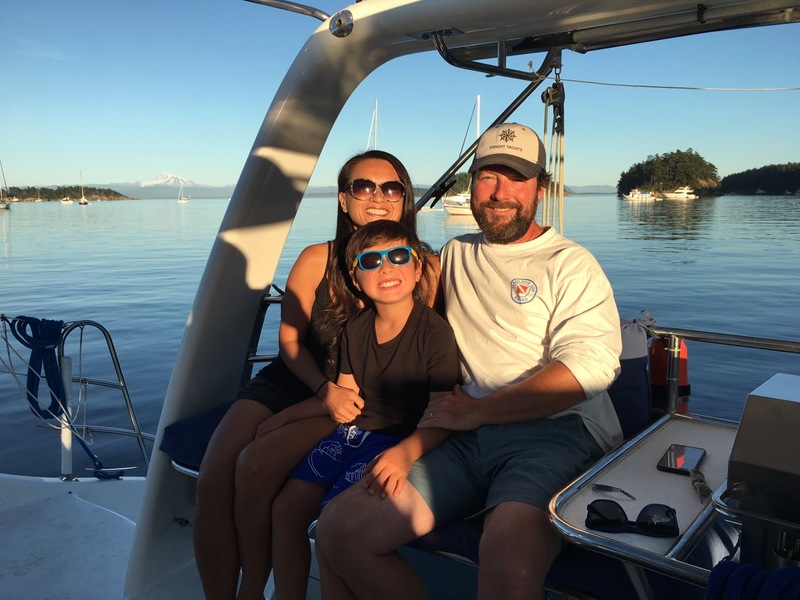 What would it be like to take your family and friends on a comfortable sail on the Puget sound? Now is the time to find out. 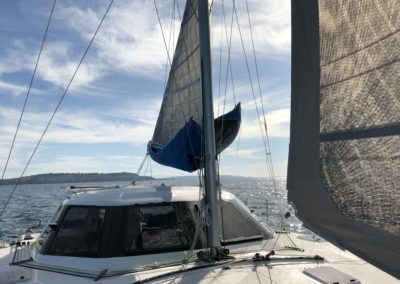 Sail the Puget Sound! 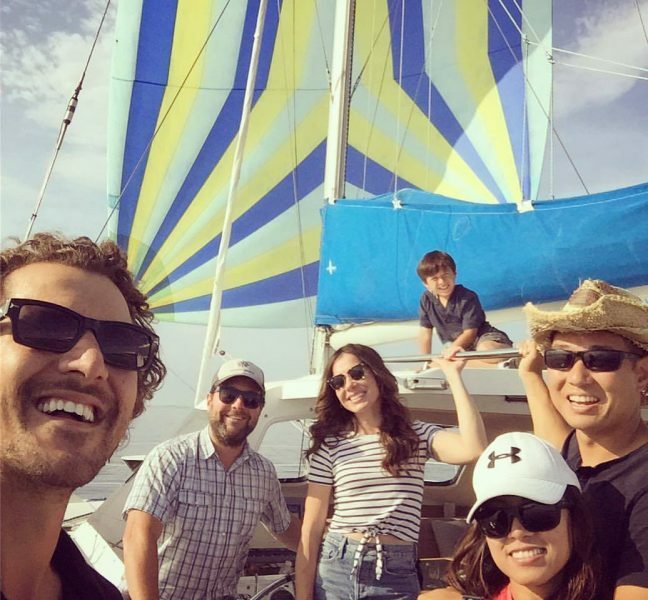 Welcome to Amelia Catamaran Charters! Experience the Pacific Northwest like you never have before and sail the Puget Sound! Breathtaking views, gorgeous skies, the Olympics mountain range so close you could almost touch. 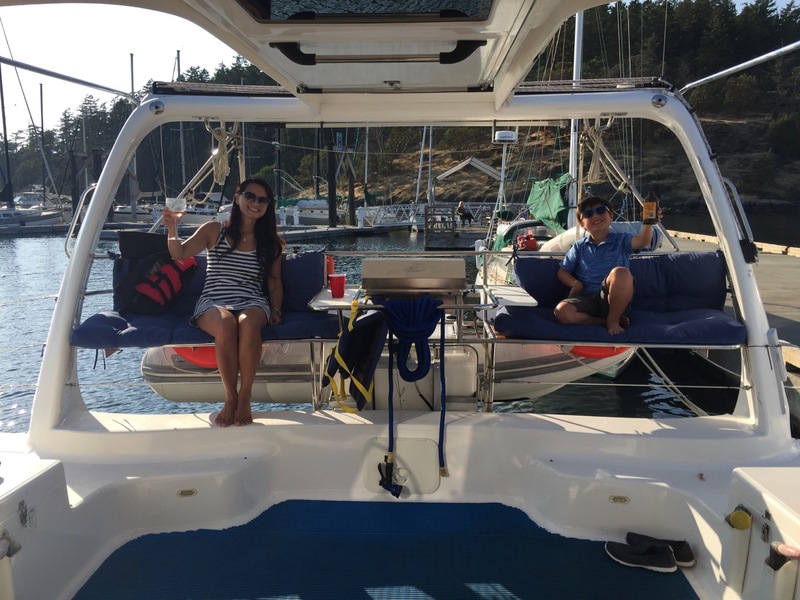 Spend the day with family and friends aboard Amelia, a Seawind 1160 Cruising Catamaran. 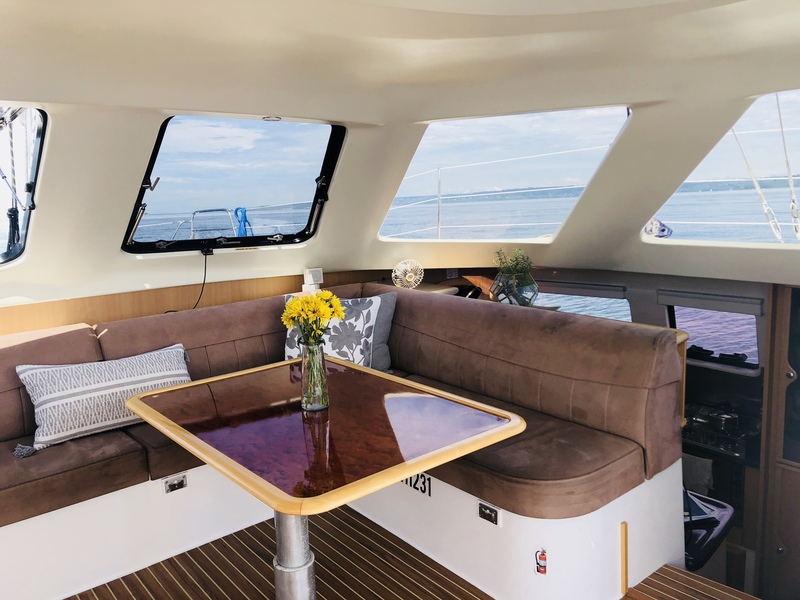 Not only is Amelia the most comfortable Puget Sound cruise with its spacious salon, it also sails level, ensuring everyone stays dry and warm even in strong winds! 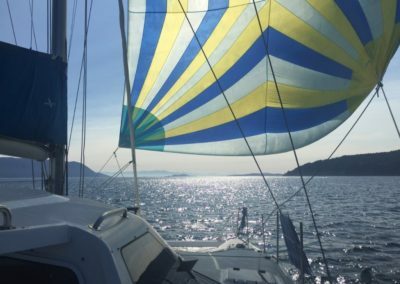 Sail for a few hours or make a full day of it. 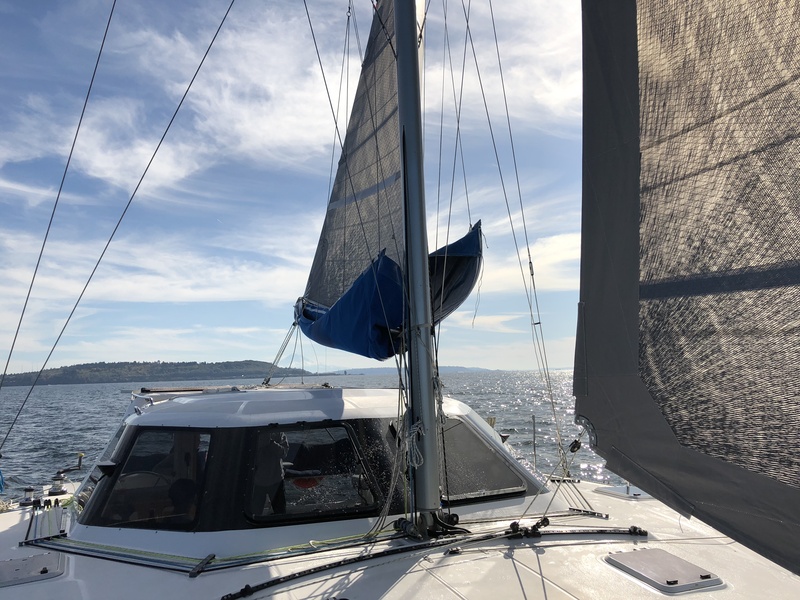 Learn how to sail, practice for your upcoming sailing trip in the Caribbean or just relax while we cruise the Puget Sound. 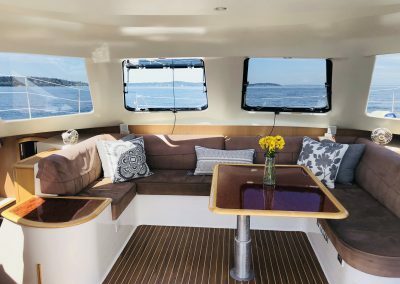 Amelia is perfect for company events, intimate wedding ceremonies, private celebrations, unique adventures, sightseeing the Puget Sound and Seattle skyline, or just spending time with loved ones on a beautiful day. 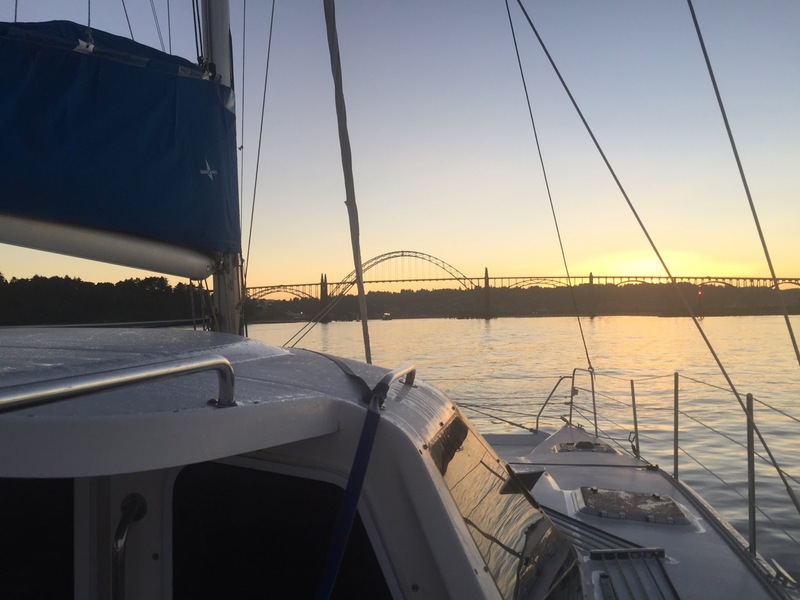 See the Puget Sound like never before aboard the smooth and comfortable Amelia. 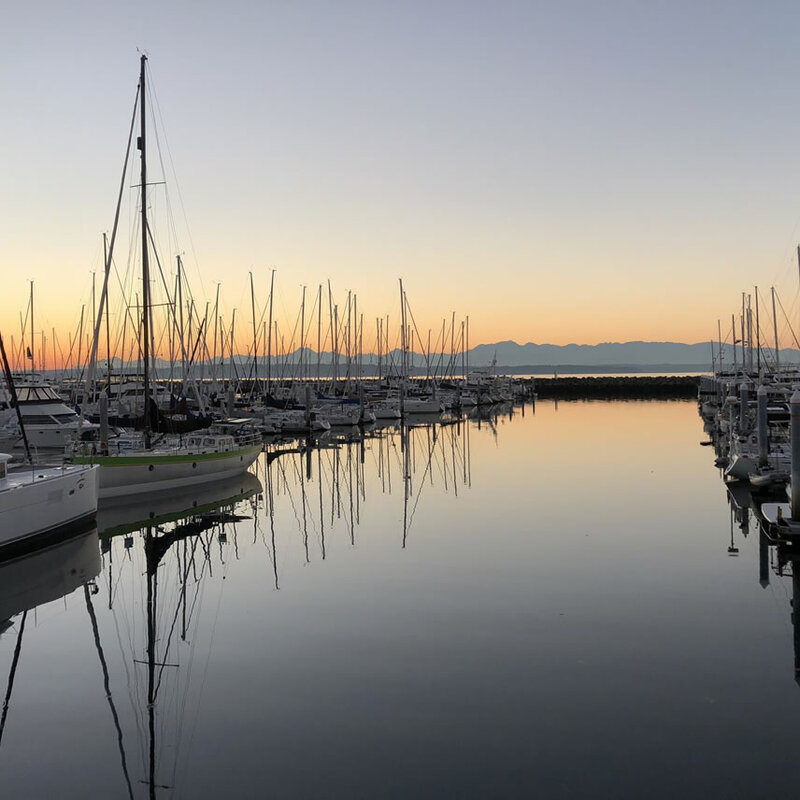 Get up close and personal with Bainbridge Island, Vashon Island, the Seattle skyline and waterfront, Elliott Bay, and expansive views of the Cascade and Olympic mountain ranges. 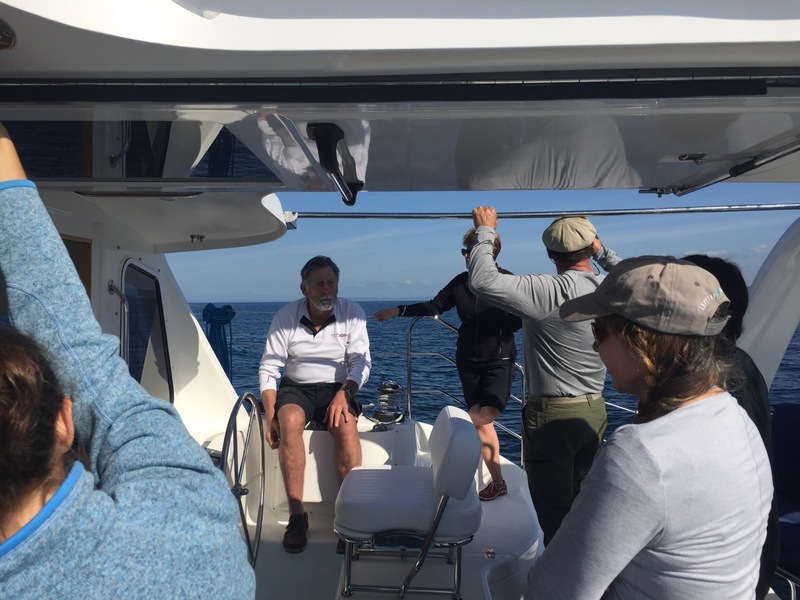 Aboard Amelia, history and nature flourish. Sail the Puget Sound! 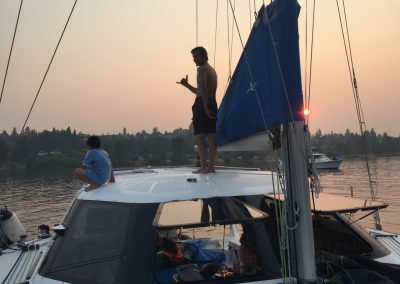 ‘Amelia’ was built by Seawind Yachts in Australia and sailed across the ocean on a fantastic voyage that eventually led to her arrival in Seattle. 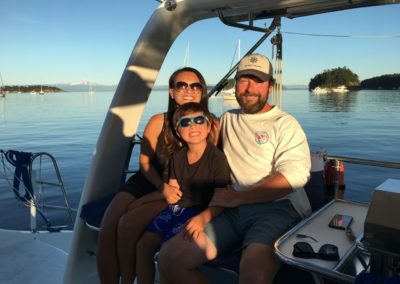 The owners of Amelia love to share their knowledge and sailing experiences with those looking for new adventures. 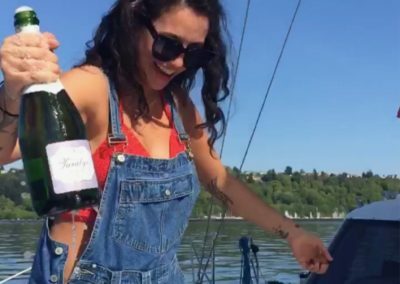 Amelia sails out of Shilshole Bay in the Ballard neighborhood of Seattle and can introduce you to the waters and views all around Puget Sound. 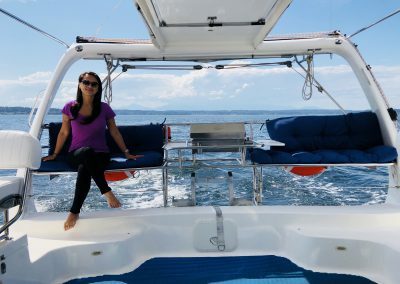 Because of its flawless design, ‘Amelia’ does not heel, providing you with a smooth and comfortable sailing experience. 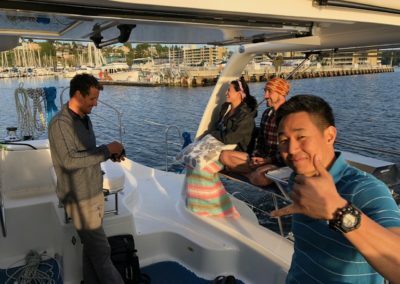 ‘Amelia’ is perfect for first timers and is easy to sail, so you can even take control of the wheel. 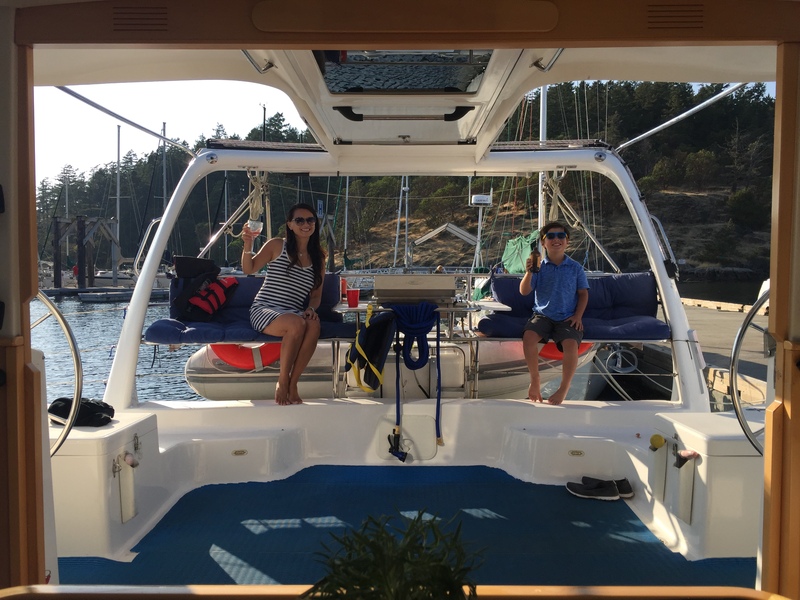 Smooth sailing ensures you stay dry and allows you to walk around on board, experiencing scenic views from all angles. 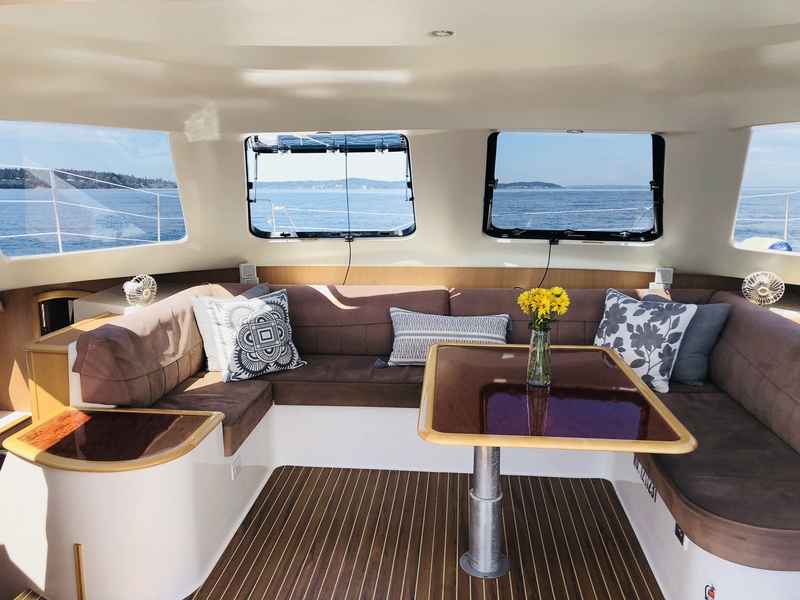 Amelia comfortably hosts parties of up to twelve, with plenty of seating for panoramic views of the Seattle area and Puget Sound. 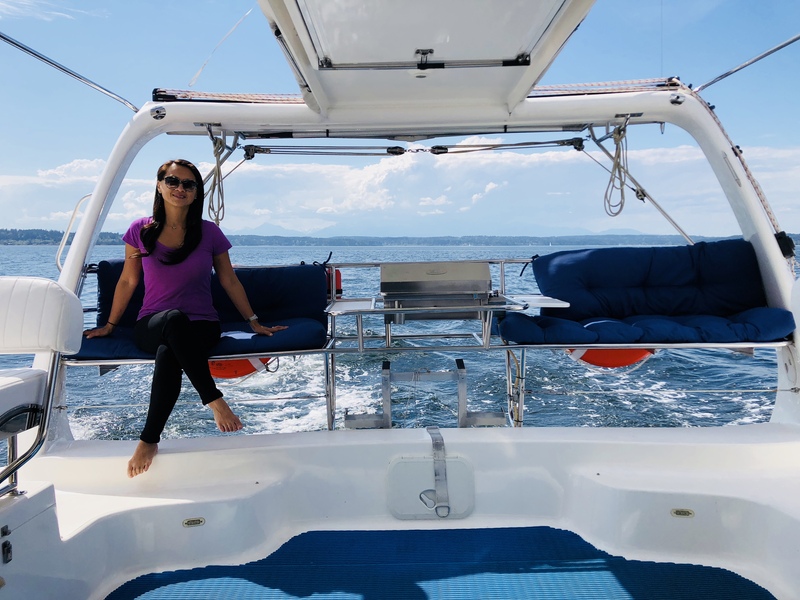 This spacious cruising catamaran is well appointed with two private heads and showers, a full galley and an on-deck gas flattop grill. 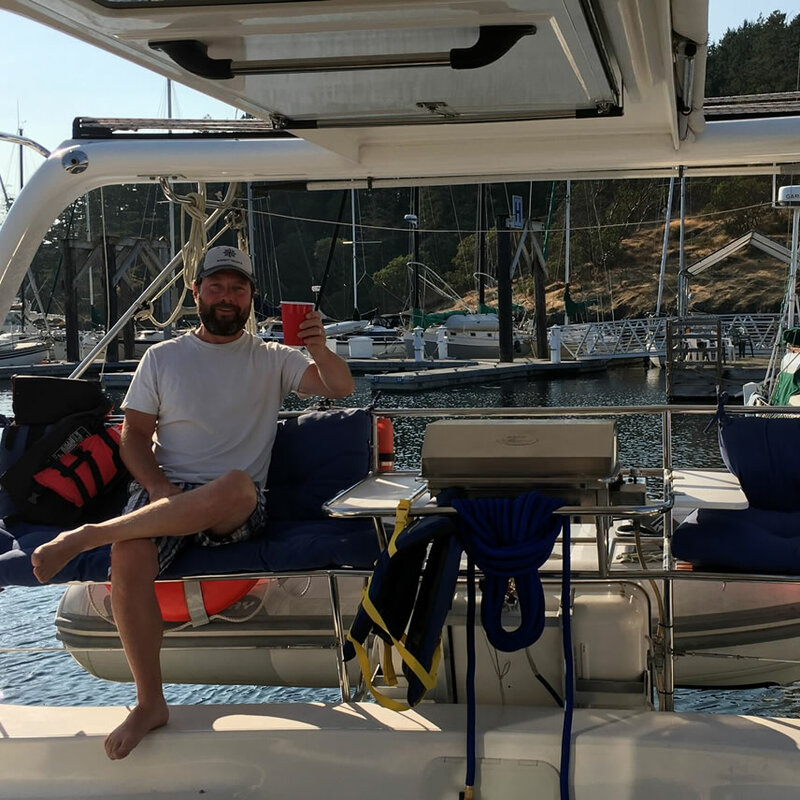 Bring your own food and beverages or enjoy local catering options! Amelia also has full navigational electronics so you can learn to use instruments and how to sail yachts and cruising catamarans. Sailing ‘Amelia’ is a perfect opportunity to practice before your sailing trips in the Caribbean and the Mediterranean or your next Mexico cruise. 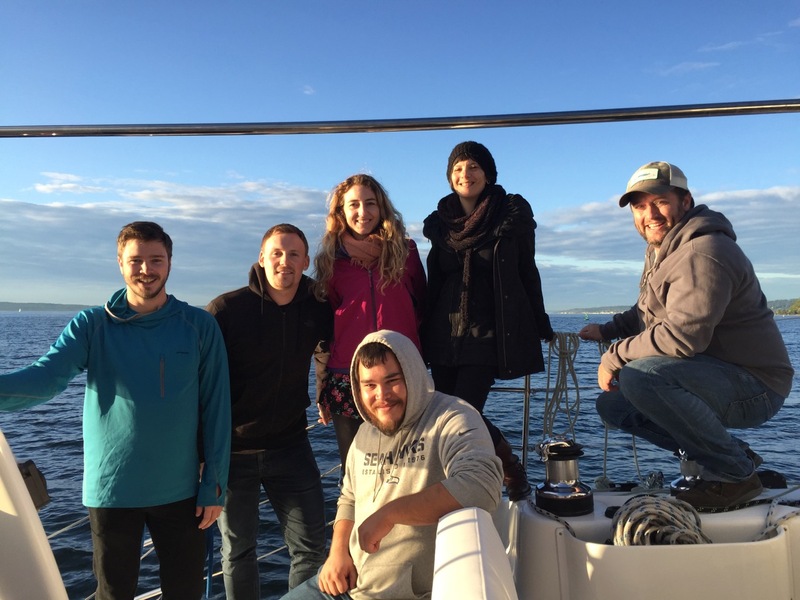 ‘Amelia’ is a USCG inspected vessel, certified by the US Coast Guard to carry 12 passengers. 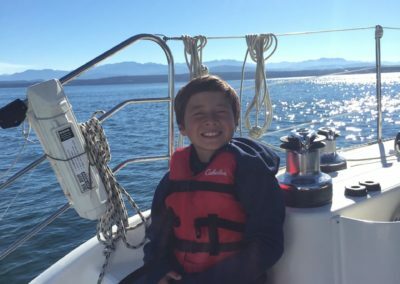 Gorgeous, panoramic views of Puget Sound, the Olympics, and the Seattle skyline. 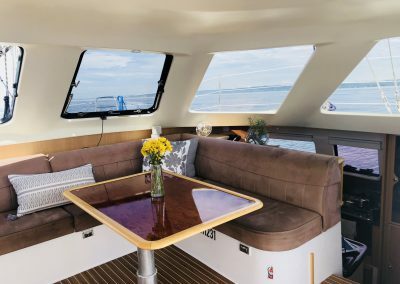 Aboard Amelia, you can sit back and relax, learn how to sail or take the wheel. 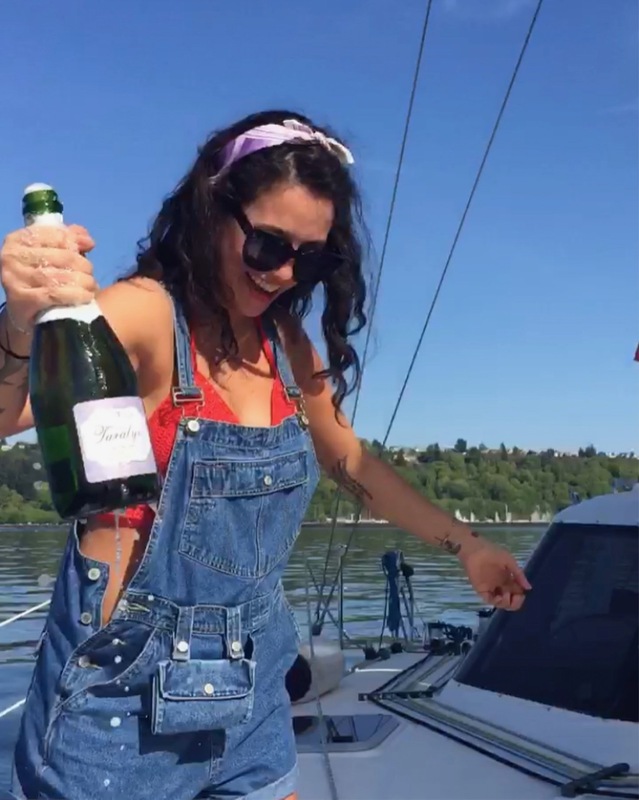 Amelia doesn’t heel, which makes her sail smoothly. 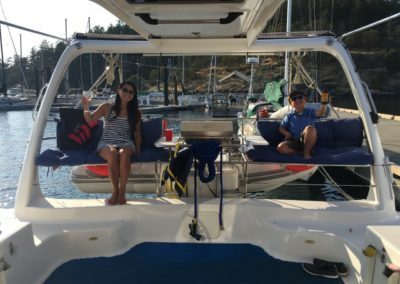 First timers are amazed by the comfort! Amelia features a warm, comfortable salon, where one can relax and enjoy the sites. 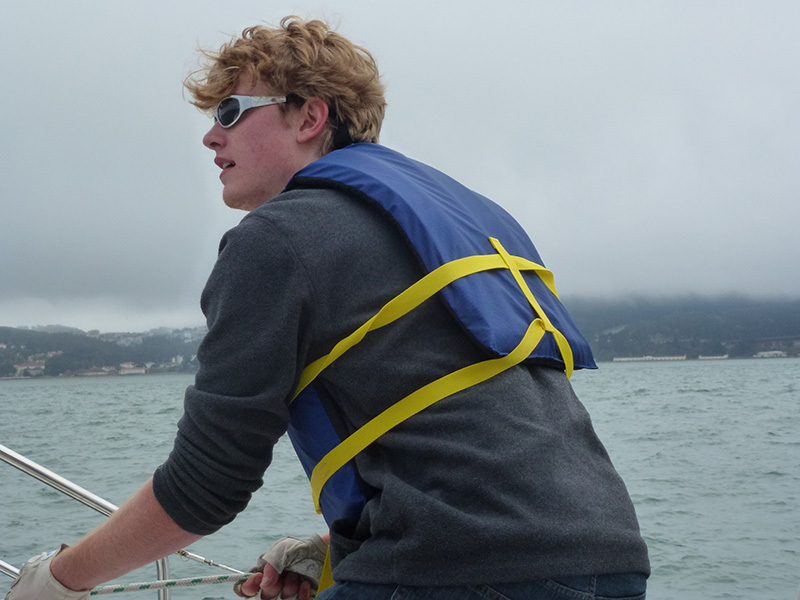 Learn about instruments and how to handle cruising catamarans. We have a variety of packages to suit every occasion. 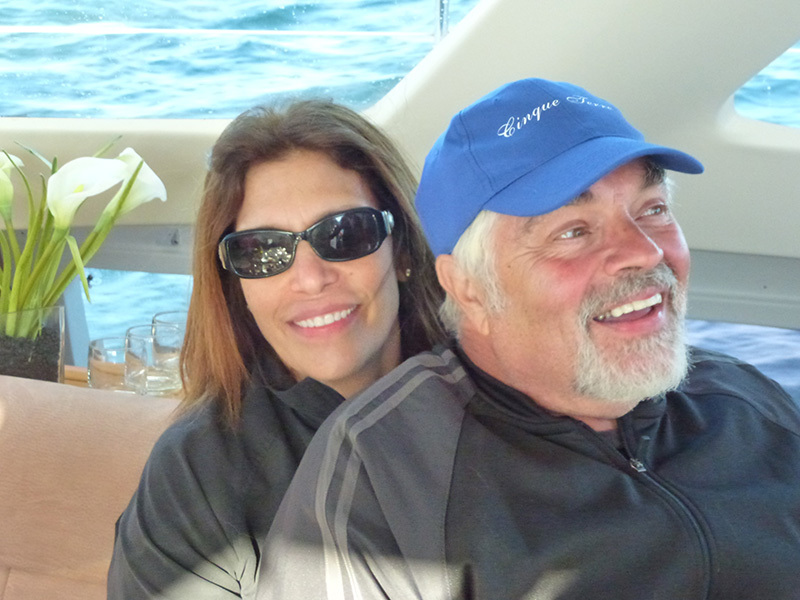 In each and every case, we make it our job to ensure you have a wonderful and memorable experience. 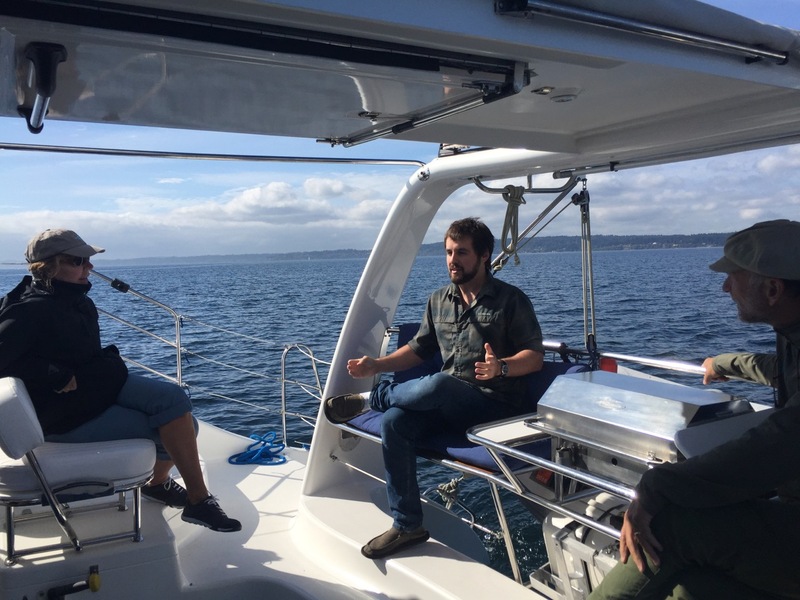 A typical day cruise is a minimum of three hours and departs from Shilshole Bay Marina. 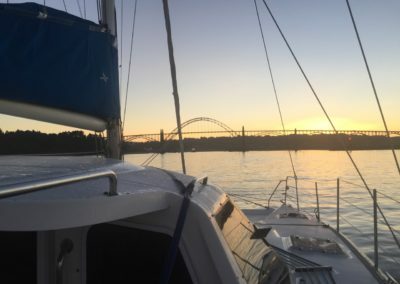 Most guests aboard ‘Amelia’ enjoy cruising past Bainbridge Island, West Point Lighthouse, Elliott Bay, the downtown Seattle waterfront, and Alki Beach. 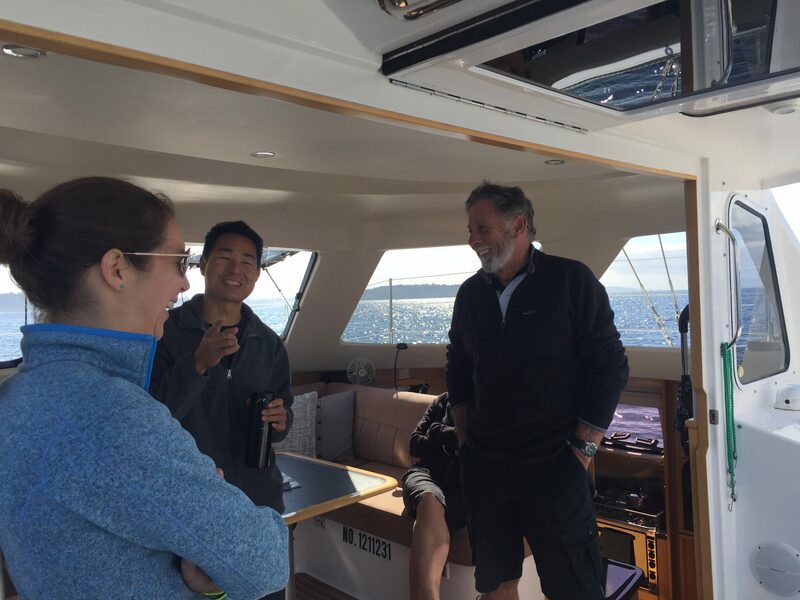 Longer cruises can include adventures around Blake Island, Vashon Island and Agate Point. 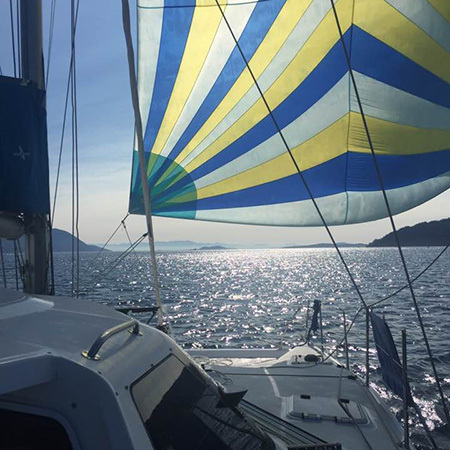 Wherever you choose to go, you’ll have a fantastic voyage with gorgeous views and smooth sails. 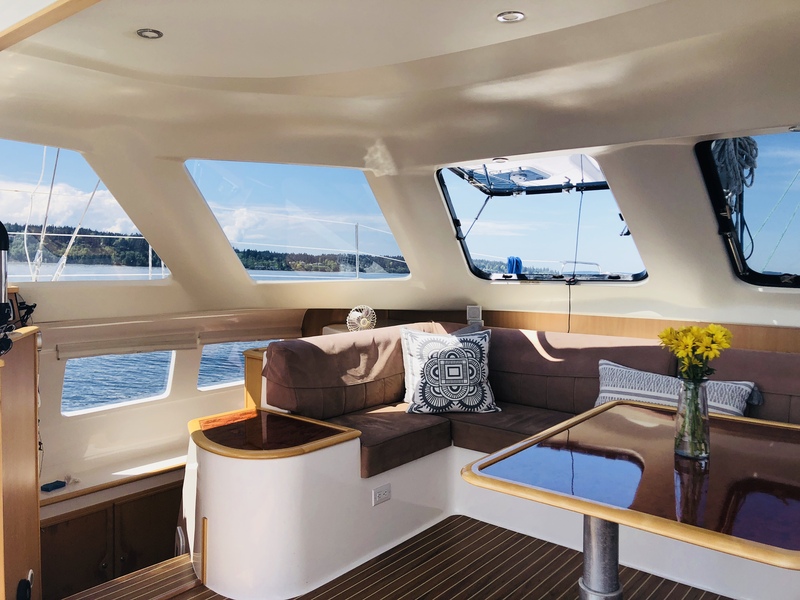 ‘Amelia’ is a perfect getaway for corporate meetings, employee rewards, gifts, celebrations, special occasions, sightseeing, or just a great way to spend the day with friends and family. Gift certificates are available too and are an excellent way to show a loved one you care. 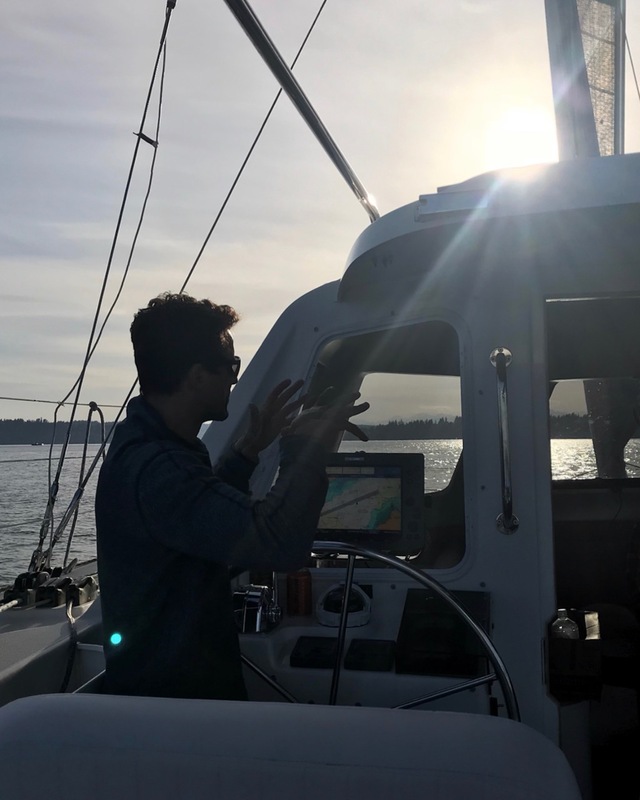 Learn how to sail, brush up on your sailing skills before your upcoming vacation in the tropics, or just sit back, relax and let us do the work for you! Let Amelia provide you with the perfect day to explore Puget Sound. 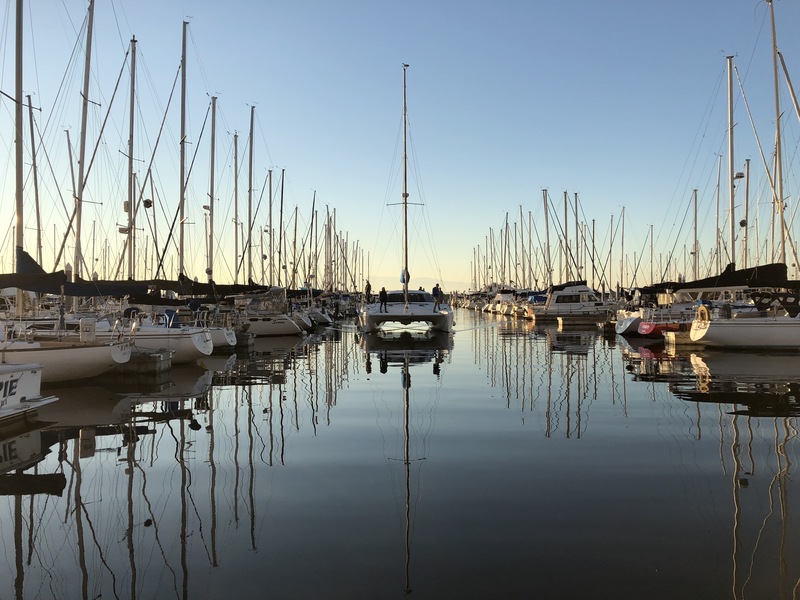 We board and drop off at Shilshole Bay Marina (arrangements can be made to pick up/drop off at other locations for an extra charge). 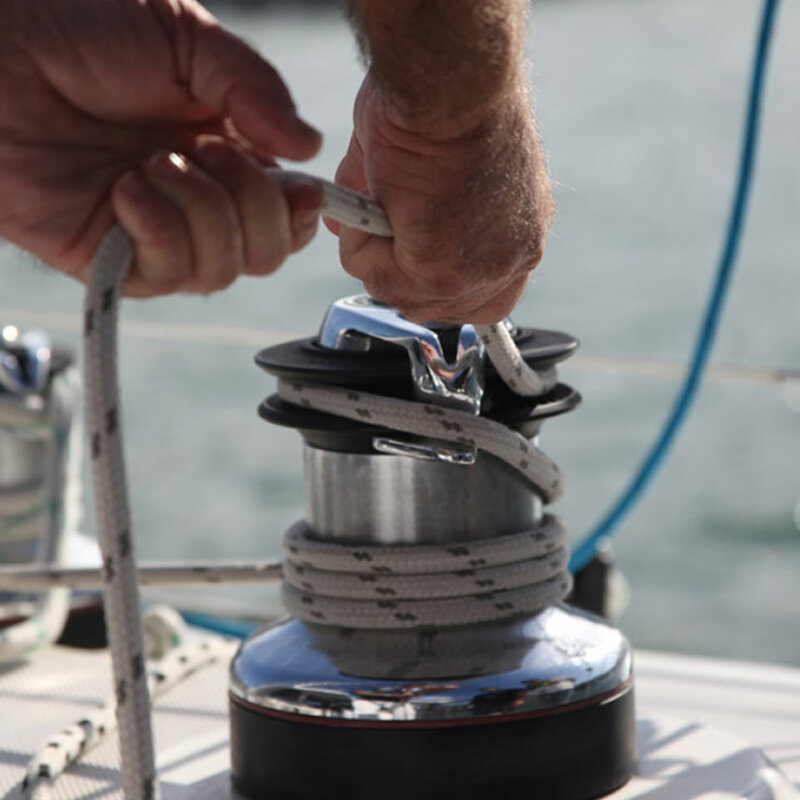 We’ll work with you to identify the ideal sail plan focused on your own desired pace and priorities. 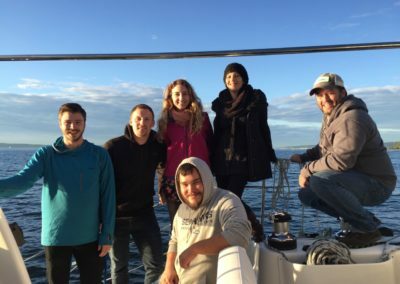 Whether it’s a circumnavigation of Bainbridge Island, Vashon Island, or something else entirely, you’ll have the opportunity to lend a hand or just relax while we take care of everything. "Just Perfect! 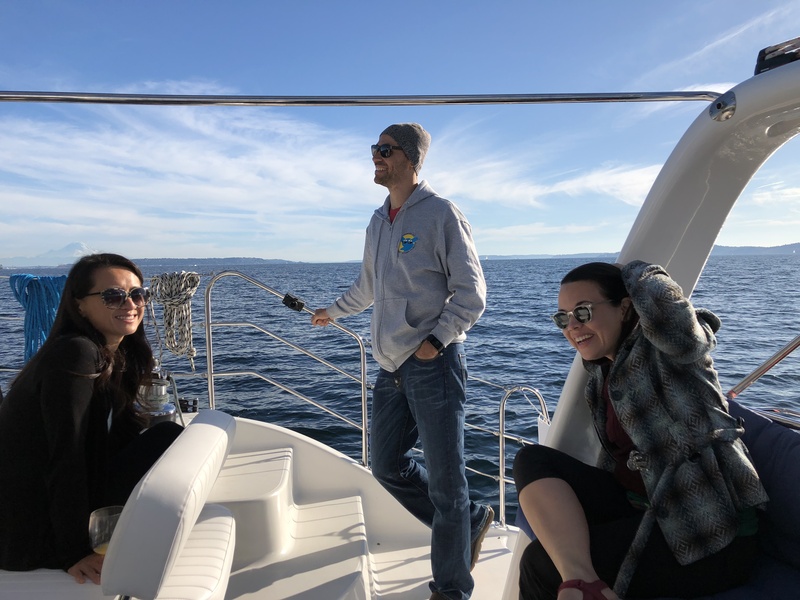 The sailing, the boat, the views, and the professional handling of the whole cruise was everything I hoped it would be. What a beautiful area to visit. 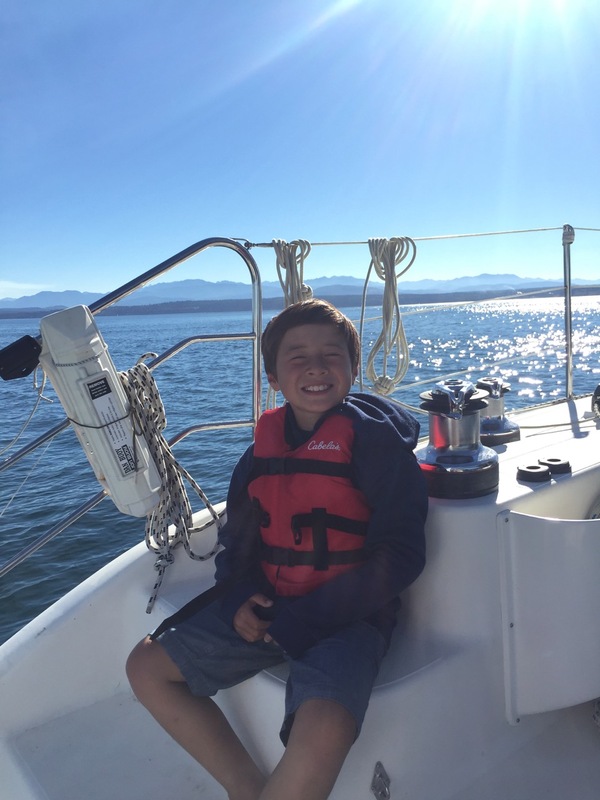 No trip to Seattle is complete without some time on the water. Thank you Amelia Charters! We hope to see you again next year!" 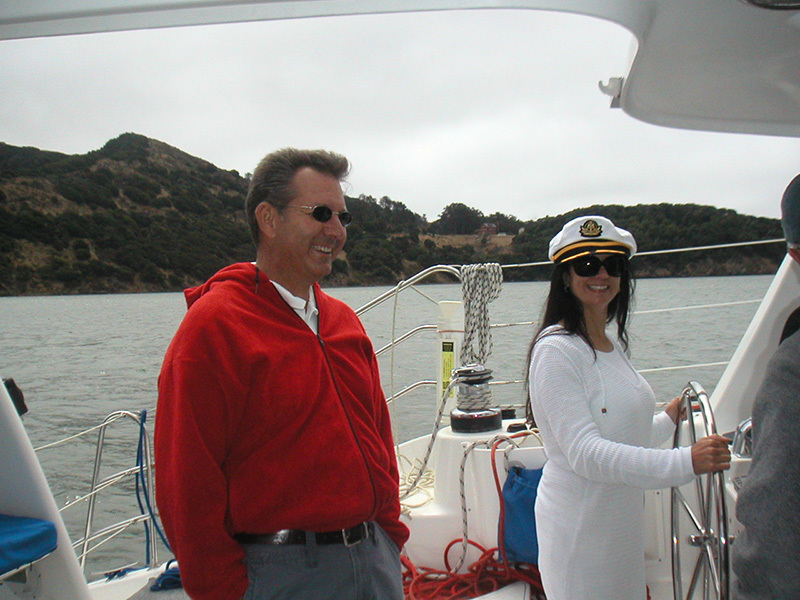 A: Light snacks, soft drinks, coffee, tea, and bottled water are provided by Sailing Caprice. If you would like to bring your own food, you are more than welcome to do so. We even have a grill! 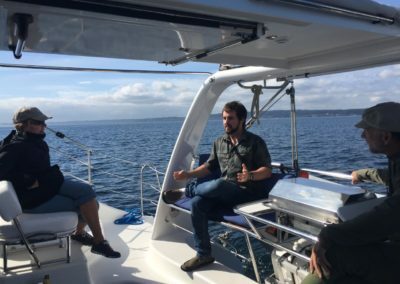 If you’re interested in having the trip catered, we have partnered with several of the best restaurants in Seattle to provide you and your guests with a host of extraordinary dining options on ‘Amelia’. A: For your comfort, we recommend you wear layered clothing and soft soled shoes. 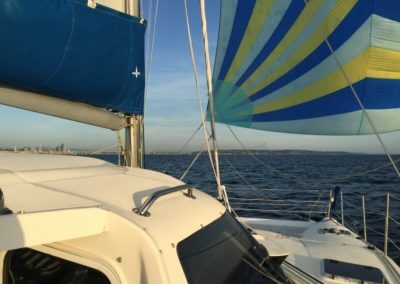 Seattle can be cool and windy in the spring, fall and winter, and warmer and less windy in the summer. However, the temperatures can fluctuate by 20 degrees in a single day, so please prepare accordingly. 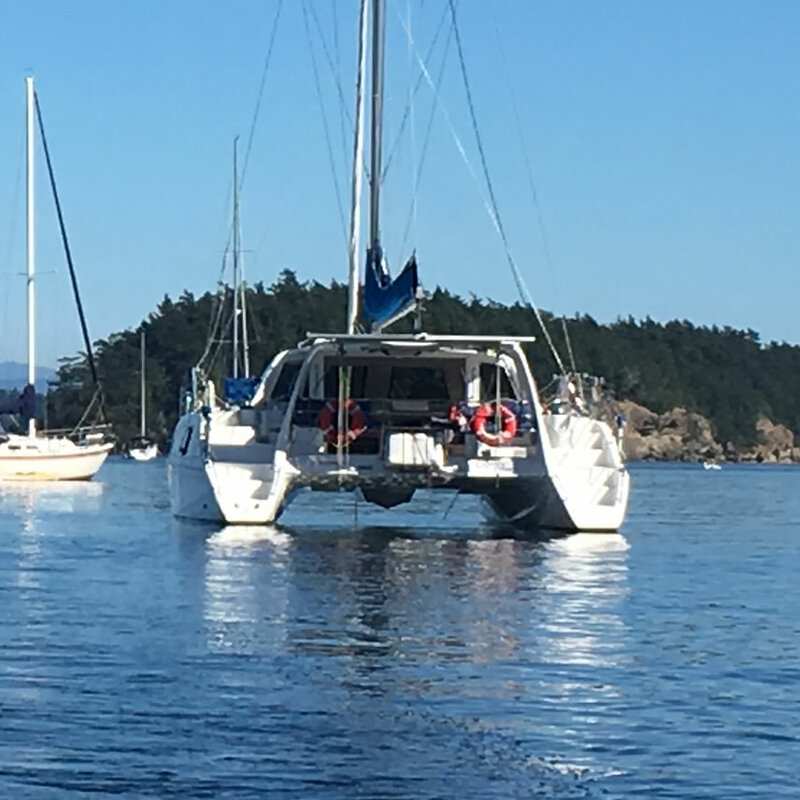 A: ‘Amelia’ is a 38 foot cruising catamaran. 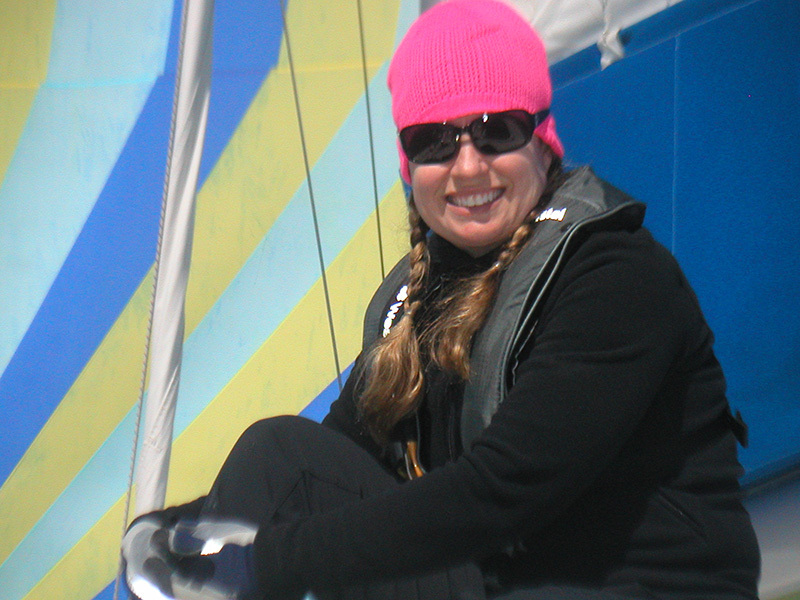 As such, she heels (tips) only 3 to 5 degrees, which makes her one of the smoothest sailing options in Puget Sound. 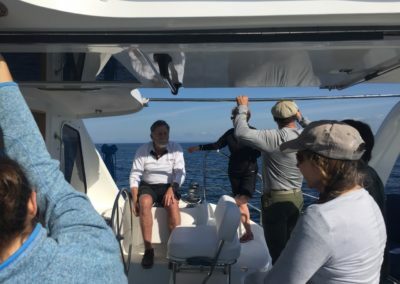 Seasickness is rare on a large cruising catamaran like Amelia. 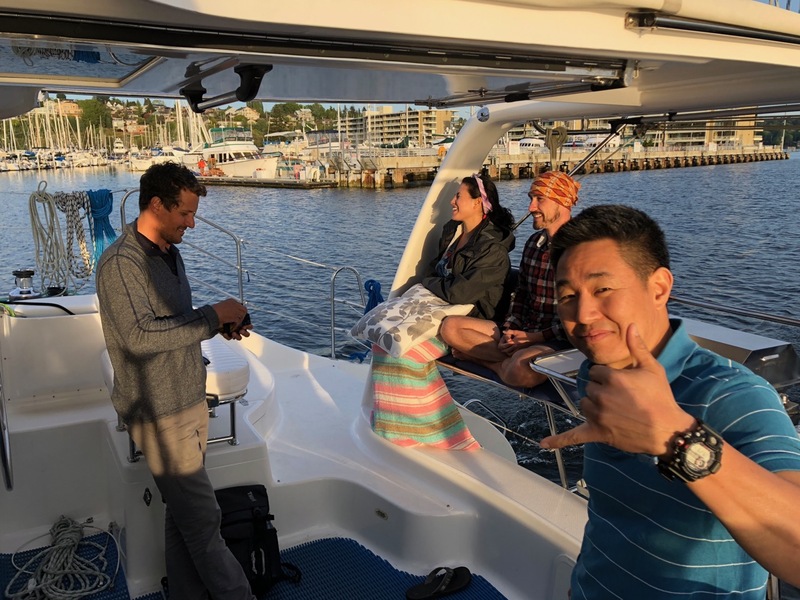 If you are prone to motion sickness, we recommend taking motion sickness medication an hour or two before boarding, just in case. 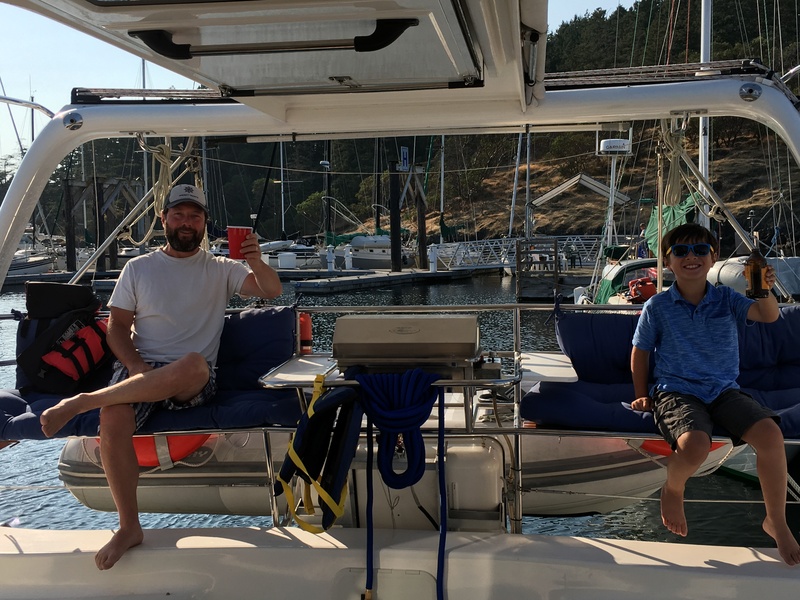 Q: Can children come aboard? A: Absolutely! 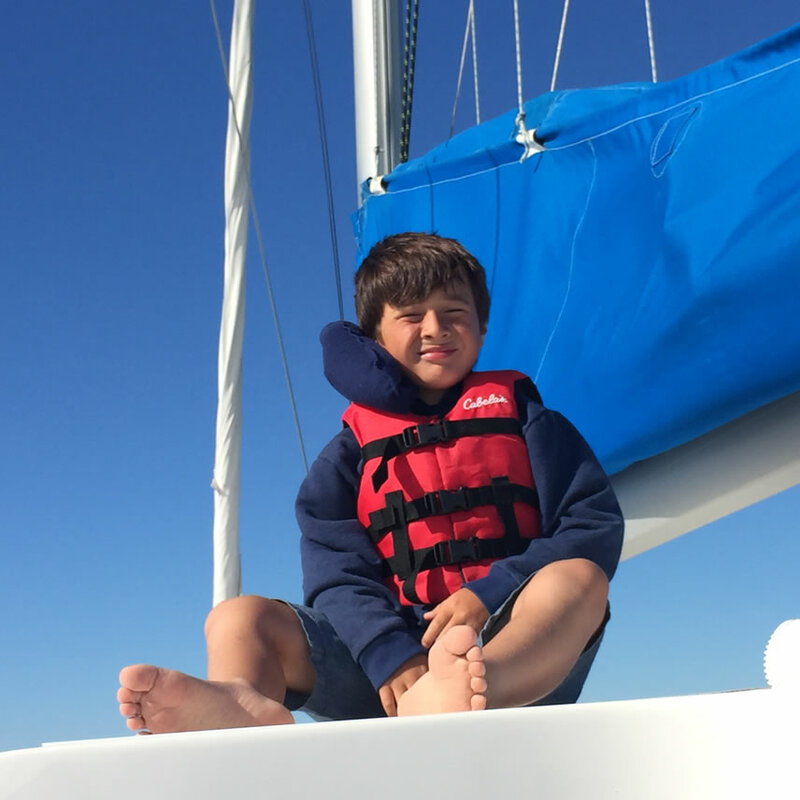 Sailing on ‘Amelia’ is a fun and adventurous experience for kids of all ages. 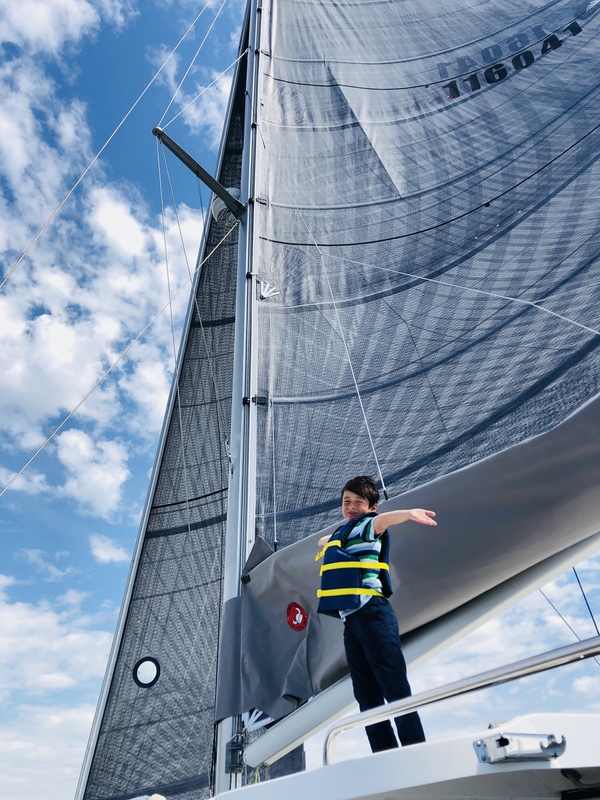 ‘Amelia’ is stocked with life jackets sized for young skippers, and is a great way to introduce your child to the wonders of the water. 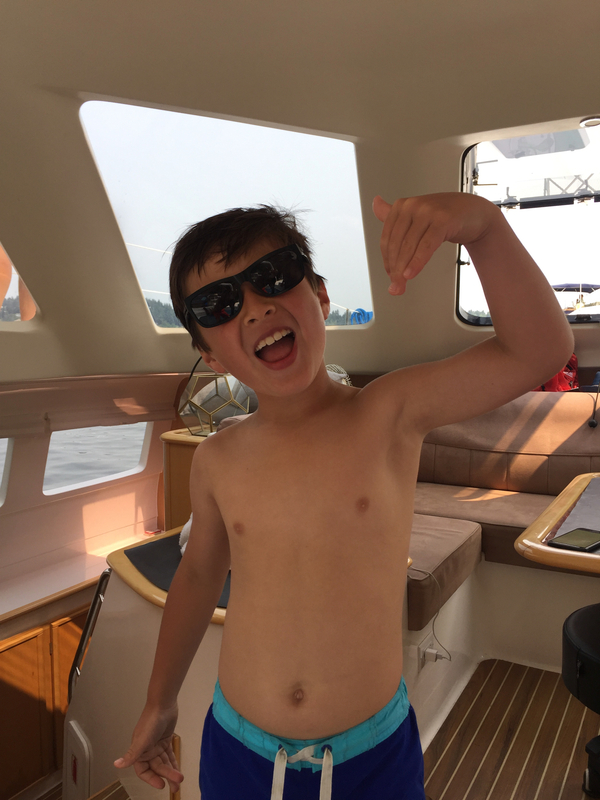 Ready to book your big adventure? 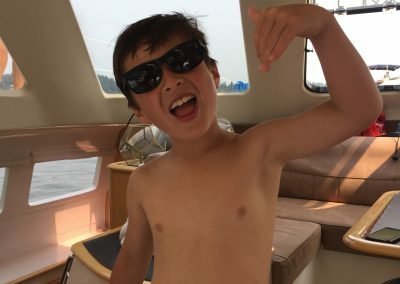 Have a question or two? 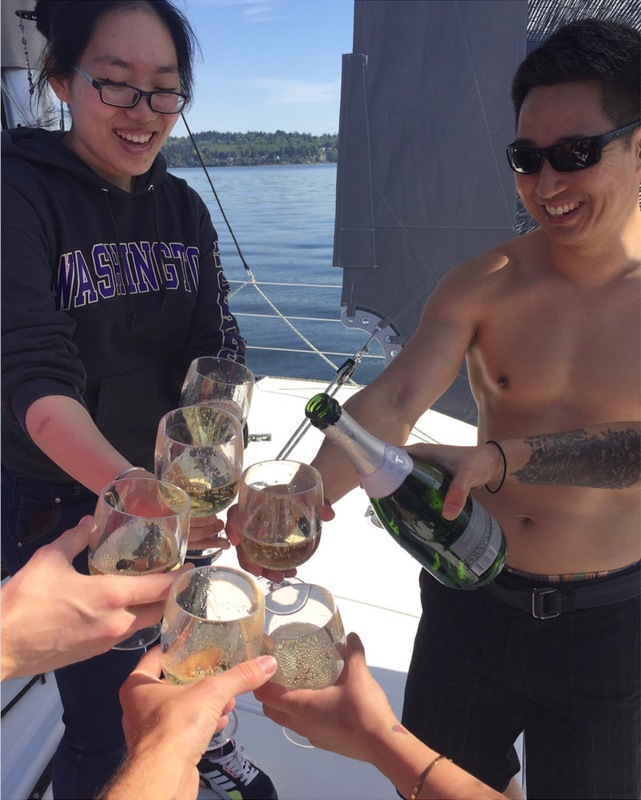 Send us an email or give us a ring at 206.319.8775.